Tis the Season for Christmas festivities! 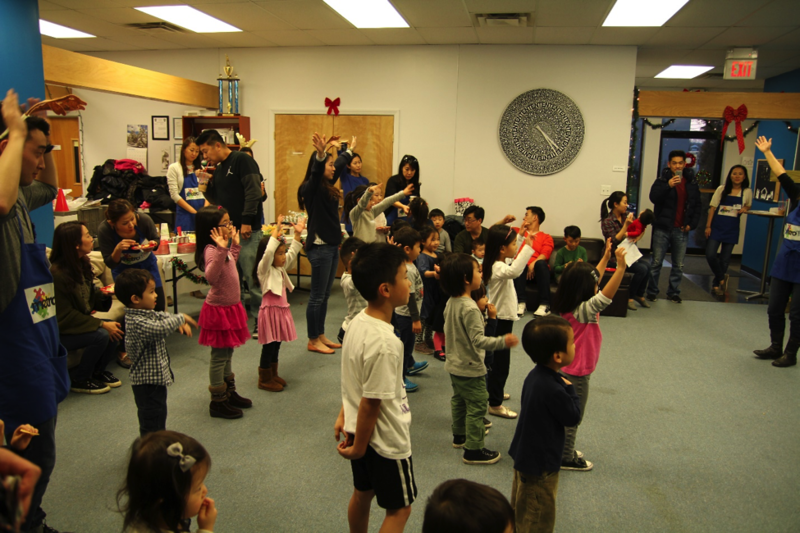 MetroTots had our 2nd annual Christmas party this past Sunday and we all had a blast. We started the night by giving praise to Jesus, the only reason for the season and the children enjoyed watching a video of the Christmas story. Our Tots, their families, along with our volunteers’ families were then invited to enjoy various activities like decorating cookies, making a wreath with their handprints, arts and crafts, photo booth fun, and snacks. It was so nice to see happy children’s faces going from one activity to the next. What a great sight to see children spending time with friends and making new friends and seeing parents interacting and having fellowship with one another. The purpose of this Christmas party was to provide children and parents an opportunity to enjoy community. It can sometimes be difficult to experience this at church when you rarely have a chance to enter the main sanctuary (many of our Tots parents have babies in the nursery). Our prayer was to bless our MetroTots with an evening of fun but more importantly give our parents a time to form new relationships and/or deepen existing relationships. We hope we achieved what we believe was God’s desire for this event. Our Christmas party is MetroTots’ biggest event of the year and it wouldn’t have been possible without the planning and dedication of our volunteers. They served without grumbling but with big smiles on their faces, some of them after serving in the morning. It was a long day for many of us but I think I speak for all of our volunteers when I say it was all worth it.